What follows below is a review for an album whose title has been rendered regretfully apt. 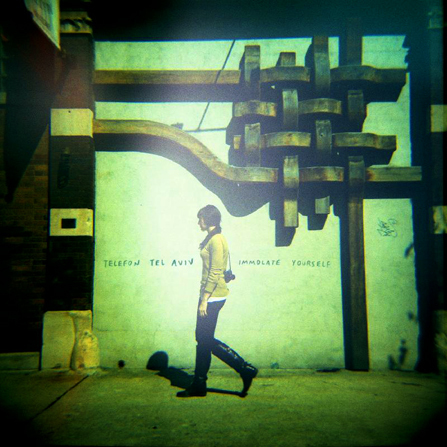 The sudden passing of Telefon Tel Aviv‘s Charlie Cooper only two days after the group released their long-awaited third full-length studio record is a coincidence suggestive of a sacrifice: an untimely departure at the arrival of something so great, yet so final. The well-deserved reception of Immolate Yourself, made public on 20th January, has since seen TTA fans buzzing with excitement across music forums worldwide. Based in Chicago and originally from New Orleans, the duo comprised of Cooper and Joshua Eustis had opted to join Berlin’s BPitch Control community shortly after their successful release of Remixes Compiled (including Apparat’s ‘Komponent’) provided clear indication as to why such a marrying of talent would be ideal. Previously signed on with Hefty Records, their earlier albums Fahrenheit Fair Enough (2001) and Map of What Is Effortless (2004) had been emotive masterpieces in their own rites. Early introduction into the world of TTA meant listening to tracks such as the first’s title number, ‘Introductory Nomenclature’, and ‘Nothing Is Worth Losing That’, with an awe reserved to the contemporary electronic greats who so masterfully balance the timbre of their glitches, the time-delays on snare and the synthetic chorus in reverb that unfailingly elevates the entire listening experience. It’s my pleasure! I love your reviews on Headphone Commute, keep up the great work!